The UK’s transition towards the adoption of electric vehicles is dependent on the development of an effective EV charging network. 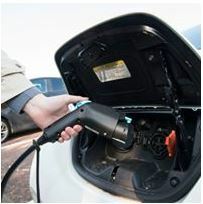 At this conference industry and local authority speakers will showcase practical solutions to delivering EV charging point infrastructure across the UK. Challenges in rolling out a UK-wide charging network. Lessons learnt in procuring a large-scale City-wide EV charge point network- a local authority case study. Delivering a network of multiple charge points in areas with limited power supplies – case study. Integrating EV charge points into streetlights in London. Innovation in EV Charge point networking and integration. Emerging EV Charging technology trends. Government policies and support programmes.